Californian multimedia artist Doug Aitken takes over the Barbican this summer for Station to Station, a free, 30-day "happening" inspired by his 2013 event in which he and a number of other artists trained it across the US and staged performances along the way. 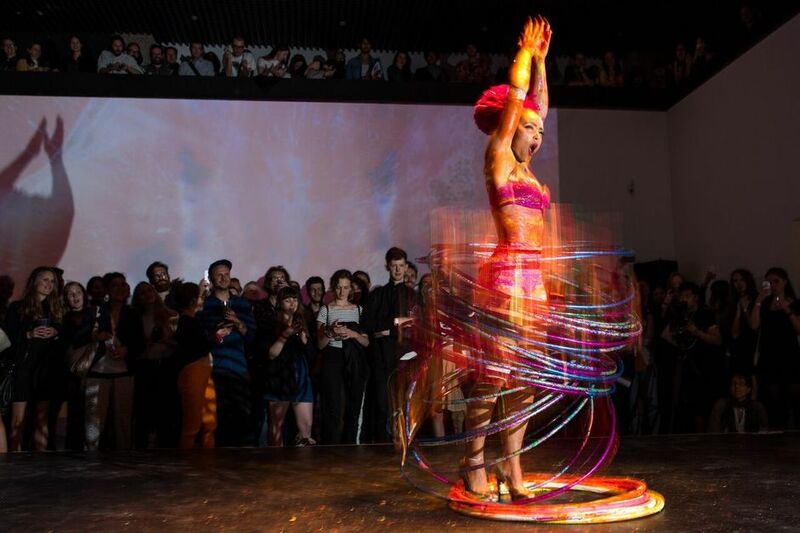 Featuring more than 100 different events, some of which are ticketed, the event includes work from artists such as Martin creed, Olafur Eliasson and Ed Ruscha, as well as a gig from New York punks Suicide and a new piece from musician Terry Riley. No two visits will be the same and visitors can expect immersive yurt installations, coloured smoke being released across the Barbican and a dark maze of cloth. What are the best dining options near Station To Station: A 30 Day Happening London? Station To Station: A 30 Day Happening gyms, sporting activities, health & beauty and fitness. The best pubs near London Station To Station: A 30 Day Happening. Station To Station: A 30 Day Happening clubs, bars, cabaret nights, casinos and interesting nightlife. Where to have your meeting, conference, exhibition, private dining or training course near Station To Station: A 30 Day Happening. From cheap budget hotels to luxury 5 star suites see our special offers for Barbican Centre hotels, including The Zetter Hotel London from 77% off.